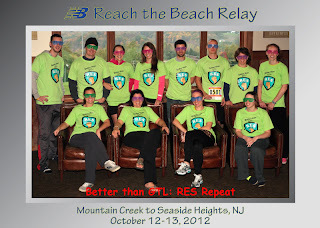 During Reach the Beach: New Jersey, we had SO MANY sponsors. I've talked about a few of them already, but today I am going to talk about a new obsession in Mike's and my life: Cheribundi. Cheribundi is a tart cherry juice and it tastes AMAZING! I like cranberry juice so I knew that I wouldn't have a problem with this similarly tart fruit juice, but I wasn't sure if Mike would like it. Much to my surprise, he does! During RTB we were provided with SO MUCH juice. 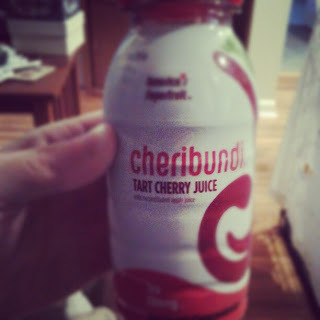 We were each given two boxes of Tru Cherry, Cheribundi's original juice, and it was really refreshing. I drank mine right after my nighttime leg and I think it helped me feel a little bit more energized. Yes this was all of our juice! I was just recently given the opportunity to try two other flavors of Cheribundi: Skinny Cherry and Whey Cherry. 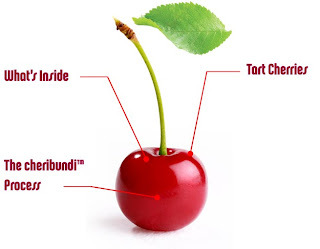 Before I talk about each of the different flavors of juice, here are some facts about the benefits of the cherries in Cheribundi. 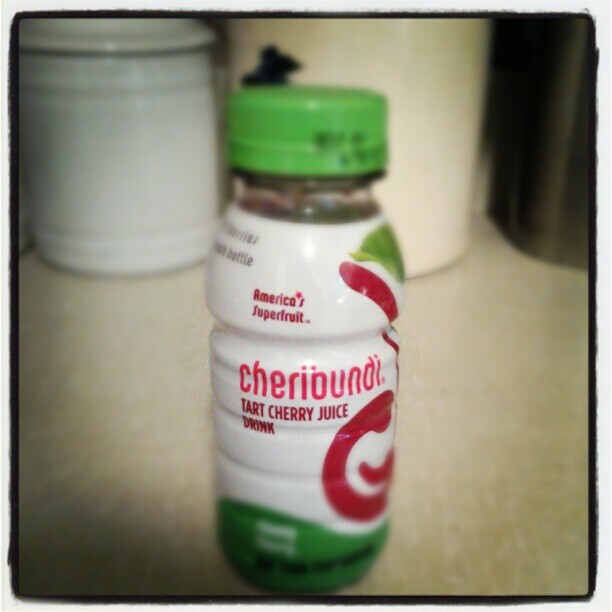 Cheribundi is not from concentrate, according to them that isn't a word in their vocabulary. The process, which was developed at Cornell University in Ithaca, New York, for juicing and bottling the cherries is done using fresh fruit. Phytonutrients help plants grow, and therefore they are good for us too! Science is beginning to prove that many of these phytonutrients, including melatonin, flavanoids, etc., have special properties and benefits for humans. This means that they may help regulate our physiological functions, including reducing oxidative stress, fighting free radicals and acting as an anti-inflammatory agent. Cheribundi juices contain Vitamin A, Potassium, Iron, Calcium and, in the Whey Cherry drink, B-Vitamins (to help with muscle growth). Cheribudi juices have a higher Oxygen Radical Absorbance Capacity rating than other juices, which means that it absords and reduces free radicals better. Now on to how the juices taste! Tru Cherry was my favorite. It is tart but with the addition of apple juice there is still a sweetness there that makes it taste great. Each 8 oz bottle of Tru Cherry is made by using 50 cherries! Skinny Cherry was my second favorite, and Mike even liked this one when I forced him to try it. Instead of apple juice, Skinny Cherry has stevia for sweetness and has some water in order to reduce calories. 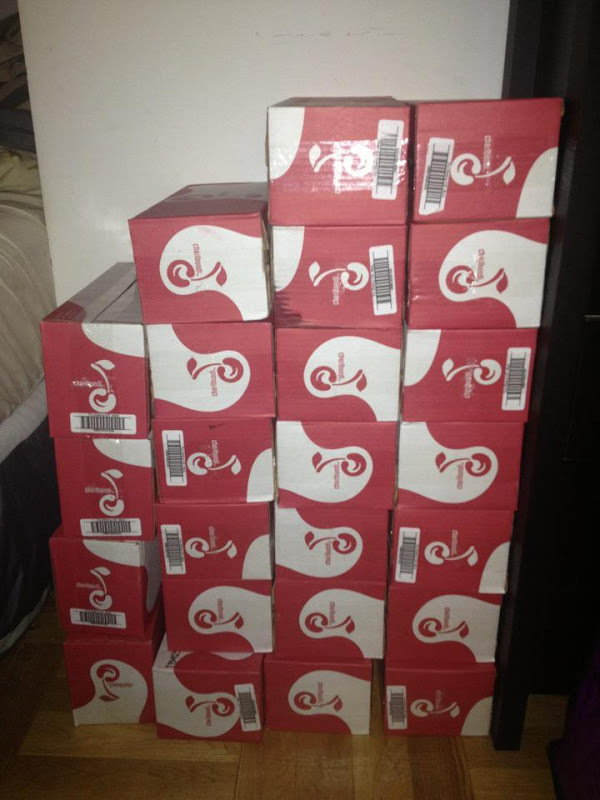 As a result each 8 oz bottle of Skinny Cherry has 40 cherries in it, but it is only 90 calories. Whey Cherry was my least favorite of the three that I was able to try, but I still enjoyed it. I wasn't sure how the whey protein would affect the taste, but you still got the great cherry flavor. It was slightly chalky, as are most protein drinks, but I could still drink it. I'm not sure if Mike would like this one, though, but he hasn't tried it yet. I really don't have very many cons about Cheribundi, other than the fact that for a box of 12 bottles (8 oz) it is almost $34! It's definitely not something we can justify always having in our house but we will purchase some again. Wegmans, our grocery store, does carry it but I haven't had the opportunity to look for it yet. I also want to have the opportunity to try Cheribundi's other two flavors: Cacao Cherry and Ginger Cherry. Now, would you like to have an opportunity to try Cheribundi? 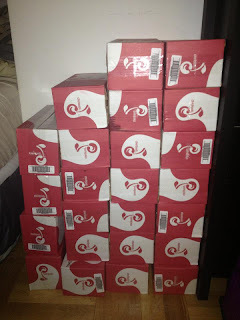 One lucky reader will get a chance to win his or her own 12 pack of this amazing juice! All you have to do is entry in the Rafflecopter giveaway below. The giveaway will run from today until Sunday November 18th at midnight and I will announce the winner on Monday November 19th. The giveaway is only open to those in the continental United States. Sorry Alaskan, Hawaiian, Canadian and International readers, I still love you though! I was provided Cheribundi free of charge for the purposes of review. I was not compensated in any way and the opinions expressed in this post are, as always, my own. I would want to try Skinny Cherry! surprisingly i don't like cherries but i tried that one before and loved it! I would like the skinny cherry! I would want to try the Tru Cherry - the addition of apple juice intrigues me! I would LOVE to try the skinny cherry...it sounds awesome!! 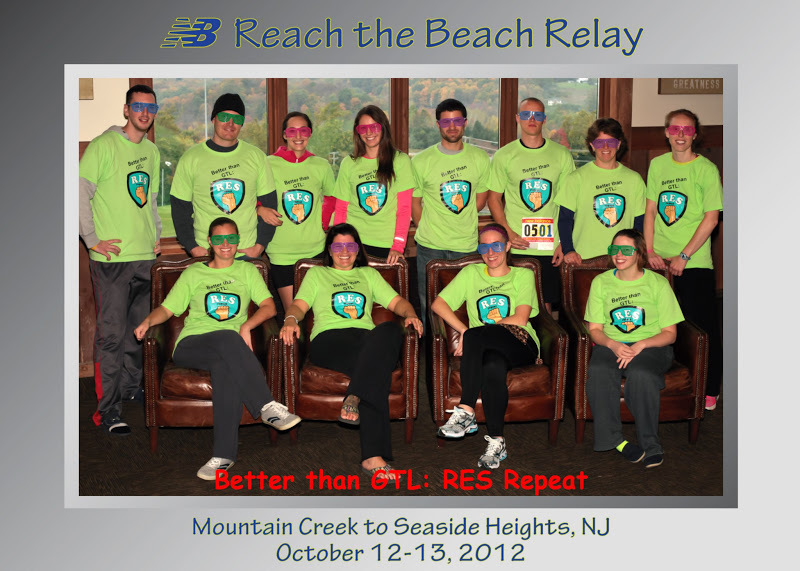 forgot to add that I just love the Reach the Beach tshirts!! Ah, cherry juice! I used to drink it all the time during my collegiate basketball days. In fact, the old "Cheribundi" (I forget its name before it became Cheribundi) sponsored my college's athletic department, so we had case upon case of that stuff. Our coaches made us drink a bottle after each game to help the recovery process. (Especially during weekend games because we'd play twice in two days.) Overall, my team didn't like it at all (probably because we were forced to drink it), but there were two girls who absolutely loved it. Would love to try the Whey Cherry for protein! Also that Ginger Cherry sounds interesting too! Thanks so much! I got to taste them at Fitbloggin, and I was surprised how much I liked them, too! I don't think I tried the Whey Cherry, so I'd try that one. I would enjoy the Whey Cherry for muscle fuel after my gym workouts! Thanks! I would like to try the skinny cherry! I think I would like to try the Skinny Cherry. But they all look good. I like things plain and simple so I would like to try the tru cherry. Cherry is my all time favorite flavor. If cherry is an option, I always choose cherry. I loved cherry suckers when I was a kid. I don't do sugar anymore. This sounds pretty yummy. I don't know if I could afford it that often, but I'm sure I'd enjoy it when I can. Haha I could! We still on for your birthday? Whey Cherry because I always welcome the extra protein!!! I would try the Skinny Cherry!! I would try the cocoa cherry! It looks amazing! Cocoa cherry for sure! I love dark chocolate! Ginger Cherry sounds fabulous for digestion too! My favorite spice! Ooooh, I want to try the ginger one!! Sounds awesome :) Love me some ginger. I am all about the Skinny! Oh Ginger Cherry! Sounds yummy! I have been wanting to try this stuff since I first heard about it...like you mentioned, price is a huge downside, however, so would love to get to try it for FREE before buying it. I'd probably pick either the cacao cherry or the original tru cherry flavor to try first. I have tried several of the Cheribundi juices and of the ones I've tried I adore the Ginger. That said, I would love to try Whey Cherry for extra protein! 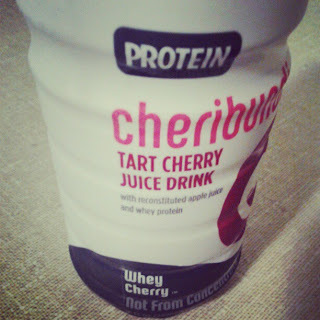 I would love to try the Whey Cherry as a recovery drink! I've heard of this brand before, but I've never tried it. I'm intrigued! I'd like to try the skinny cherry! Holy cow they have so many flavors I never knew about! I'd like to try the Skinny Cherry or Protein one. Cacoa Cherry for sure! Love chocolate!